lim and French guitar virtuoso Marc Ducret is playing at Café Kaka in Eskilstuna on March 24. The quartet is about to release a new CD on Kopasetic Productions. 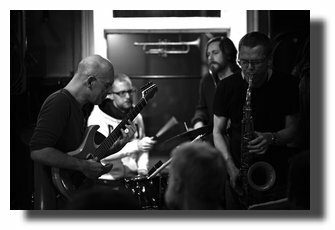 On May 3, the group will play at Lilla Hotellbaren in Stockholm. lim and Marc Ducret has played together a few times since 2006 and can be heard in a live recording on the CD KOPAlectric from 2006.